The lead BLM investigator in the Bundy Ranch case has blown the whistle exposing "far-reaching misconduct, recklessness and unrestrained antipathy toward the family." The incident saw hundreds of armed militiamen, and others, show up to defend the Bundy ranch after armed BLM sniper teams took up positions around the Bundy ranch property. A damning memo from lead investigator Larry Wooten reveals borderline criminal operation carried out by the BLM. Then last Wooten sent a whistleblower email to the U.S. Department of Justice, alleging a “widespread pattern of bad judgment, lack of discipline, incredible bias, unprofessionalism and misconduct, as well as likely policy, ethical and legal violations among senior and supervisory staff” at the Bureau of Land Management’s Office of Law Enforcement and Security. Wooten wrote that supervisory agents with the bureau repeatedly mocked the defendants in an “amateurish carnival atmosphere” that resembled something out of middle school, displayed “clear prejudice” against the Bundys, their supporters and Mormons, and prominently displayed degrading altered booking photos of Cliven Bundy and other defendants in a federal office and in an office presentation. The memo described “heavy handedness” by government officers as they prepared to impound Cliven Bundy’s cattle. He said some officers “bragged about roughing up Dave Bundy, grinding his face into the ground and Dave Bundy having little bits of gravel stuck in his face.” Dave Bundy, one of Cliven Bundy’s sons, was arrested April 6, 2014, while videotaping men he suspected were federal agents near his father’s ranch. Wooten contends that supervisory agents failed to turn over required discovery evidence to the prosecution team that could help the defense or be used to question the credibility of a witness, as required by law. The revelations contained in the memo prompted Cliven Bundy’s attorney to file a motion to dismiss the case, which is already in shambles over the government’s failure to share evidence with the defense as required by law. The judge subsequently sent the jury home for more than a week in an effort to determine the validity of the claims, as the prosecution scrambled to save their case against the Bundy ranch defendants. Additionally, lead agents on the case “instigated” monitoring of jail phone calls without the consent of the U.S. Attorney’s Office or the FBI – essentially going rogue – until Nevada’s acting U.S. attorney Steven Myhre, who is leading the prosecution, put an end to the illicit surveillance. Wooten said he learned from other agency supervisors that Love had a “Kill Book” as a “trophy,” in which he essentially bragged about “getting three individuals in Utah to commit suicide,” following a joint FBI-BLM investigation into the alleged trafficking of stolen artifacts. Wooten said his supervisor took photos in a secure command post at FBI headquarters in Las Vegas of an “Arrest Tracking Wall,” where photos of Cliven Bundy and co-defendant Eric Parker were marked with an “X” over them, and emailed out the photos, although no photos were allowed to be taken in that area. 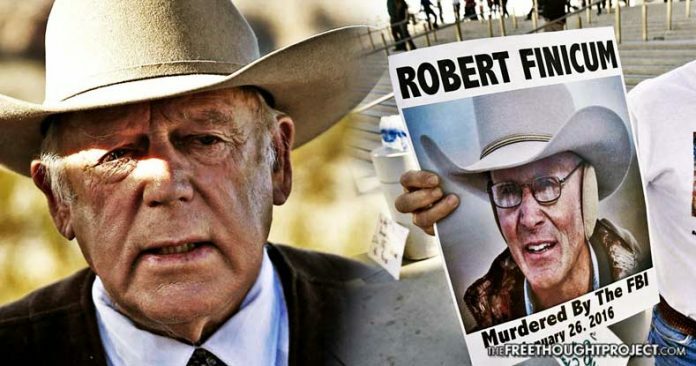 After the discovery of the extreme corruption, Wooten called prosecutors in the Bundy case and told Myhre and Assistant U.S. Attorney Nadia Ahmed, as well as FBI special agent Joel Willis, that he believed that supervisors were failing to share important witness statements with them. When Wooten eventually asked Myhre if statements made by Love, such as “Go out there and kick Cliven Bundy in the mouth (or teeth) and take his cattle” or “I need you to get the troops fired up to go get those cows and not take any crap from anyone” could be construed as evidence that must be shared with the defense. “Not only did Mr. Myhre in my opinion not want to know or seek out evidence favorable to the accused, he and my supervisor discouraged the reporting of such issues,” Wooten wrote. “I have tried to resolve these issues through my chain of command but I have failed,” Wooten wrote in the memo. The trial has been postponed until next Wednesday, as U.S. District Judge Gloria M. Navarro attempts to reconcile numerous concerns about evidence not being shared with the defense. She intimated that if violations are found, potential remedies range from striking witness testimony or delaying the trial, to declaring a mistrial. Cliven Bundy’s lawyer Bret O. Whipple described the information contained in the memo as “quite a development” one he hadn’t seen in his 20-plus years of legal work. The reality is the prosecution has withheld evidence that would have easily exonerated the 19 defendants but instead, exculpatory evidence was withheld from the defense, which has resulted in the 19 defendants spending the last 2 years behind bars. Please share this damning information to expose the extreme corruption that has taken place in the Bundy case!